Herbicides are chemicals that kill or slow the growth of unwanted plant life. They’re extremely useful for agricultural workers, but they come with their own set of risks. Herbicides tend to irritate or damage the respiratory tract when inhaled. Some herbicides can lead to acute respiratory distress syndrome, lung complications, or holes in your esophagus. People who are exposed to these chemicals are more likely to develop breathing problems. Coughing, breathlessness, and wheezing are among the most common symptoms of herbicide exposure, but the symptoms can quickly escalate to a more serve disease. If you are going to be working with pesticides, it’s important that you are equipped with the right tools. Use a respirator with an activated charcoal filter to avoid inhaling dangerous chemical vapors and make sure none of your skin is exposed when handling harsh chemicals. Taking precaution is of utmost importance when dealing with herbicides, so make sure you are informed about the products you are using before you begin using them. It is increasingly clear that there is a link between herbicides and cancer. RoundUp, the most widely used herbicide in America, is facing public scrutiny due to recent speculation that it causes cancer. The active ingredient in RoundUp called glyphosate is what makes the herbicide so powerful when it comes to killing plants. But tests revealed that glyphosate can also cause genetic damage to the cells of animals and humans. Several people have developed non-Hodgkin’s lymphoma because of exposure to this ingredient, spurring outrage toward Monsanto, the company that sells RoundUp. Any person who has been exposed to this ingredient is in danger, and many people have already suffered due to Monsanto’s negligence. It’s important that companies like this are punished for their unethical business practices, so do not hesitate to pursue legal action if you or someone you know is sick because of glyphosate exposure. Herbicides can alter the behavior of animals by damaging their habitats or surroundings. Most of the time, herbicides will spread far past the intended area and cause damages to plant life. Some herbicides are non-selective, meaning they are toxic to whatever they come in contact with, not just a specific type of vegetation. There is a specific type of herbicide called Paraquat that can cause severe damage to animal and plant life. 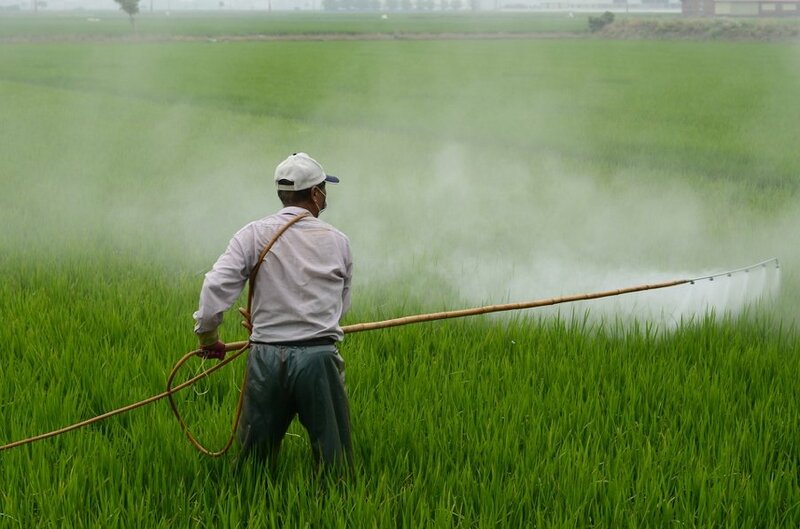 Paraquat is extremely fast-acting and useful for clearing weeds but poses severe health risks upon ingestion. Due to its highly poisonous nature, a small dosage can lead to death by respiratory failure. There are many things you can do to ensure your garden does not rely on the use of herbicides. For example, mulching is an effective way of suppressing weeds and feeding the soil. Crop rotation is also useful because it prevents diseases and pests from growing in the soil. There are also several organic weed killers on the market that avoid the use of harsh chemicals. These vinegar-based products are a safer alternative to the toxic herbicides on the market. Another simple way to avoid excessive weed build-up is to simply pull the weeds by hand. Of course, this isn’t the most efficient option, but it beats being exposed to harmful chemicals that put you at risk for serious diseases. Some weeds are even edible. It may sound weird to eat them, but weeds actually make a great addition to any pantry and can be used in salads, teas, and so on.